Made From Zinc Coated Steel Wire. Can Cut Side Wires To Change Routing Elevation. 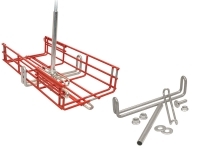 2" x 4" Grid provides Easy Cable Routing From Tray Sections. Available Metal Tray Divider For Cable Separation. 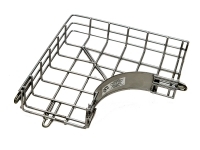 M.E.2 cable tray cable management systems is manufactured with rigid .187 diameter zinc coated steel wire. 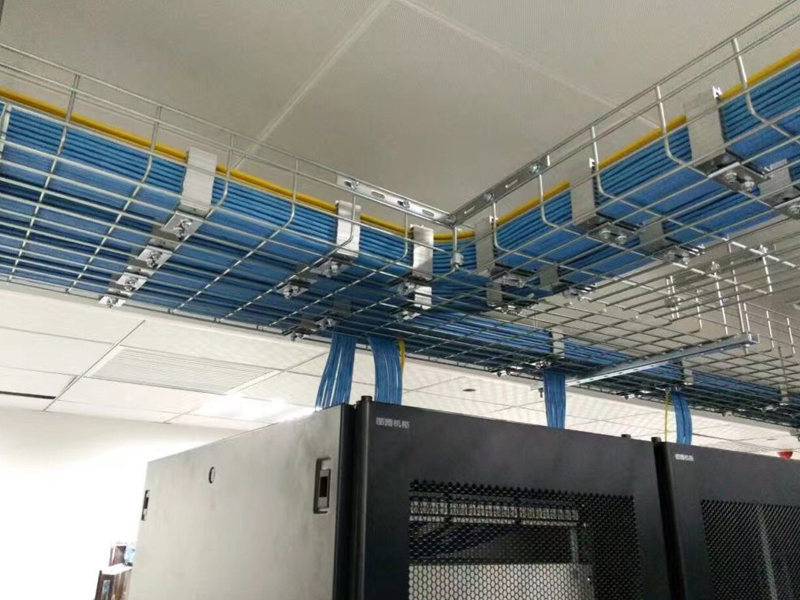 M.E.2 cable trays can be configured at the installation site and offer a wide variety of wire channel routing and protection options. 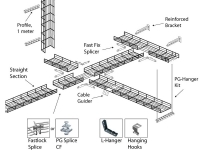 Tray sections can be easily interconnected, using industry common splice washer clamps. 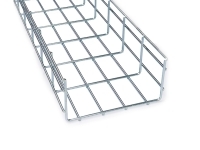 M.E.2 trays can be mounted on walls or posts, on ceilings or installed under raised flooring with Cable-Manager. hardware. 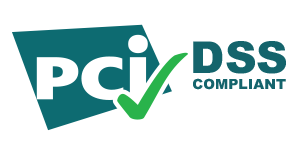 * Contact Technical Support for 36" data.